In an effort to help ALSC members make an informed decision before they vote, the blog posts this morning and this afternoon consist of interviews with the candidates for ALSC 2019-20 Vice President/President-Elect, Kirby McCurtis and Christine Caputo. Each candidate was given ten questions and submitted written answers. This morning’s interview is with Kirby McCurtis. To me, the most important role of the ALSC president is to provide bold vision and leadership. The president must be receptive to the needs of members, library staff, and the children we serve. Leveraging our diversity, and being ever mindful of inclusion, the President should work collaboratively with the Board, Executive Director, and membership to ensure we are working toward the core values, vision statement, and directions as laid out in the Strategic Plan. I am passionate about library services to children—I got into public librarianship because it felt like a way to continue my social activism work. I was a youth librarian for over eight years and my transition to management has allowed me to hone my advocacy skills as I work to ensure the youth services staff at my location have all they need to best serve the young people in our community. I am organized, thoughtful, outgoing, and have an attention to detail that is essential in association work. I value transparency, input from all stakeholders, and am committed to diversity, equity, and inclusion. In addition to my ALSC service, I have held leadership roles in others areas of ALA, and as we are at the apex of a time of transition with big ALA, I think these relationships and my demonstrated understanding of the association is essential. Strength—community building. Working to ensure that all members have opportunities to engage and be seen in ALSC and the work we do. Weakness—slowing down. My passion and diligence mean that I get results. My challenge will be learning to create sustainable change within a large organization that has many, many parts. ALSC has so much to offer children’s services staff at every stage of their career. For new members, there are networking, mentoring and learning opportunities both virtually and in person at conferences. For mid career members, there are leadership opportunities with committee work, conference programs to inspire, and relationship building with colleagues. And for long term members, there are more occasions to give through ALSC institutional service (serving as a Priority Group Consultant or on the Board of Directors), opportunities to guide and learn from new professionals by serving as an ALSC mentor, and continuing education courses at institutes and conference to stay up to date. 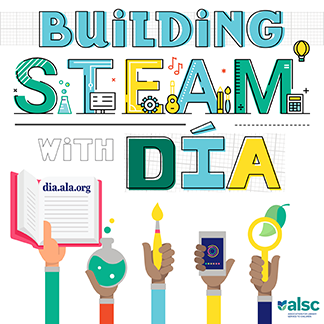 ALSC is the leading advocate for children’s services, literature, and resources and the the division would not be as powerful without the work of its dedicated, hardworking, wonderful membership. I think creating more transparency about both the committee appointment process and the actual committee work is essential in terms of reaching members. When thinking about recruiting new members, cost is always a factor especially for early career professionals. ALSC has many channels already established to offset those costs—such as scholarships, the pilot student gift membership, Spectrum Scholarship, ALA Emerging Leaders funding, and the pilot Equity Fellowship—but I would love to see all these programs talk to each other better so that new members can easily plug in and be connected with others. An example of this is the recent pilot of the Equity Fellowship where I, along with my co-chair and the members of the Equity, Diversity, and Inclusion (EDI) within ALSC Task Force, advocated for and secured membership and conference funding for six promising, diverse future ALSC leaders. But we’ve also worked to include them in every aspect of ALSC we could think of, connect them with mentors, and introduce them to other new ALSC members to create a cohort. If elected, I hope to expand this process of helping new members build meaningful networks that allow them to get—and stay—engaged. 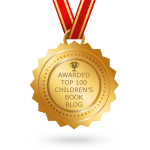 ALSC is currently working on both fronts–technology and political challenges– to ensure that it is the leading organization when it comes to advocating for children. 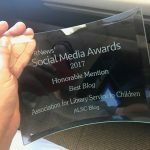 ALSC has been a leader with changes like changing Notable Websites to Notable Children’s Digital Media and changing the name of the Wilder Award to the Children’s Literature Legacy Award. If we continue to listen to members, we can face challenges head on, no matter what format they present. As President, I will look ahead, speak up and speak out, and advocate for libraries, library staff and the kids we serve. I will consider us successful if I’ve cultivated a climate that empowers ALSC members toward thoughtful action, in turn, creating future generations of young mindful advocates in all of our communities. I believe it is so important that we diversify ALSC membership and ensure that all people feel both seen and welcome in order to best serve the children of our communities. As co-chair of the EDI within ALSC Task Force as well as a member of the Equity Team in my library system, I’m always on the front lines of this work. In addition to the Task Force’s work with the Equity Fellowship, we are also currently working on creating a discussion group and recommendations for future work. As President, I would continue this work and support these recommendations to ensure that we have equitable representation, diverse voices at the table, and that equity, diversity, and inclusion work is shared across ALSC. Rather than entering with preconceived ideas about what would be a good program or a preconference, I would start by asking membership. When I was President of ALA’s New Members Round Table (NMRT) I found our preconference and my President’s program successful because I engaged with members prior to planning to get a good understanding of what their needs, interests, and challenge areas were. I look forward to learning from you and leveraging that knowledge into an opportunity for all members. 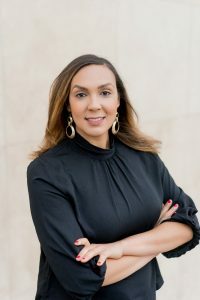 I find the greatest opportunities can be had when you open yourself up to the idea of “yes.” That is how I became ALA Councilor, ALA Emerging Leader, President of NMRT, and Secretary of Black Caucus. So when the nominating committee asked, I reflected and asked a lot of questions, and then said yes. I know I can do the job, and aside from being a lot of fun, I believe I could make a positive impact on ALSC not just during my term but for years to come. I am a hard worker and I like getting things done, but I don’t have an ego about it–credit is in the final outcome and that is enough. I love doing storytime more than anything else I’ve ever done as a librarian. I understand that representation matters. I will never forget the first time a child told me, with such love and awe in his voice, that I was the first Black librarian he had ever met—or the first time that same thing happened with a Head Start teacher. My guiding principle is “uplift someone higher than yourself.” I believe in ALSC, and know if we all work together we can advocate for and provide amazing library services to children.